Predicting "The End Of Alzheimer's"
Dale Bredesen lays out his "silver buckshot" approach. It would be nice if we could take a pill or get an injection to either cure or protect us from Alzheimer's disease. The prospect of having our brains essentially drain away is a grim one. Dr. Dale Bredeson, an MD, offers some hope. He's set up a treatment protocol, and he explains it in his book The End of Alzheimer’s: The First Program to Prevent and Reverse Cognitive Decline. The doctor joins us to talk about the details of the program and the results seen in early trials. Adriana Seelye explains her research. Developing dementia or cognitive impairment is not like catching a cold... patients don't suddenly develop symptoms, in most cases. So it helps medical pros and researchers when they can track changes in behaviors that can indicate changes in the brain. Adriana Seelye at the aging and Alzheimer's center at Oregon Health & Science University has a plan for tracking those changes through the monitoring of simple household tasks. And she's got a grant from the Alzheimer's Association to turn the plan into a real treatment tool. Dr. Patrick Gillette talks about dementia care. 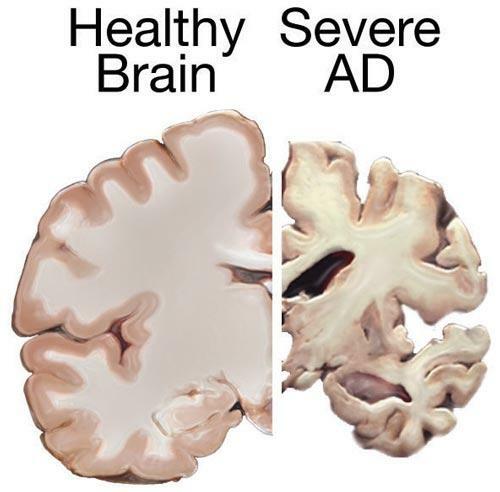 We're getting to know more about Alzheimer's disease over time. And that's true in two senses: researchers understand it better, but more people have it, too. And there are still varieties of dementia that are not Alzheimer's. Dr. Patrick Gillette has come to know them well in his work at Rogue Community Health and elsewhere in the health care system. He'll speak about Alzheimer's later this week at a health conference in Medford.